Welcome to Blue Aura Computers! We sell high end, custom built trading computers at prices lower than our competitors. Our computers achieve performance above and beyond anything possible. We've been in business for over 15 years and have built up a solid foundation of trust with our customers. In addition to building the fastest computers for trading with the best components we also guarantee a completely clean operating system installation. 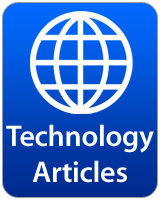 No junkware or 3rd party trial software is installed like other big name manufacturers. We install just the operating system and Windows updates, our computers are meticulously configured to work perfectly right out of the box. The most powerful trading computers possible. Superb craftsmanship, built for extreme performance. Built for extreme gaming. Fortnite, Call of Duty, Minecraft - our gaming computers can handle any game with ease. Amazing custom desktop computers for your Home Office or Business. Custom built CAD Desktops built to handle anything you can throw at them. NVIDIA Quadro & GeForce video cards. Not sure which components to pick for your new trading computer? Check out this awesome guide! 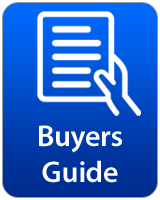 Find out why your next computer purchase should be from Blue Aura Computers. 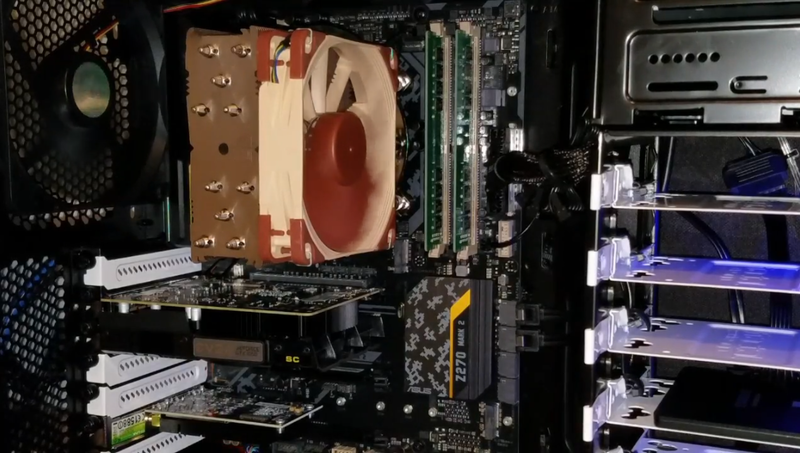 Learn about all the video card ports on the back of your computer to connect muliple monitors. The most important component in a trading computer is the processor, find out more information here. 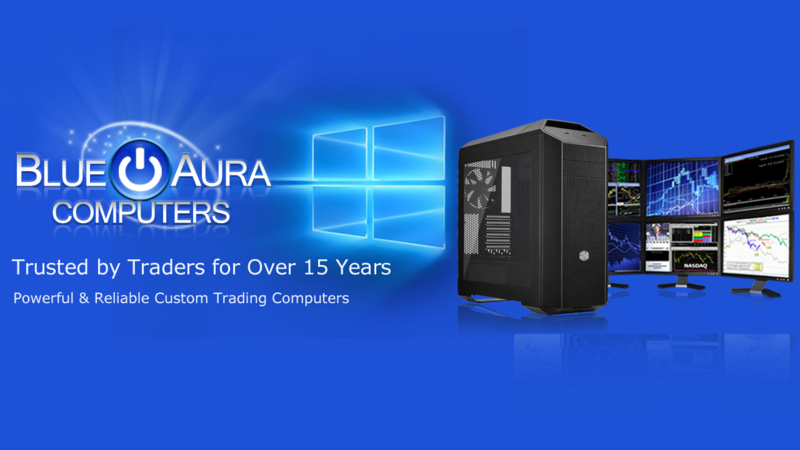 Blue Aura Computers is the #1 Seller of Custom Built Trading Computers! All Trader 8000 Series & 9000 Series trading computers can be customized with up to 64GB of system memory (RAM). All systems can be customized with up to 12 monitor support! Our trading computers are engineered to last a long time with the highest reliability possible. Free lifetime labor & tech support on all systems. We sell everything - keyboard, mouse, speakers, ups backups, monitors & stands are available. 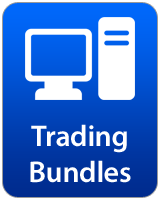 Also check out our bundles page for complete packages that include everything you need to start trading. Order Your New Blue Aura Computer Today! 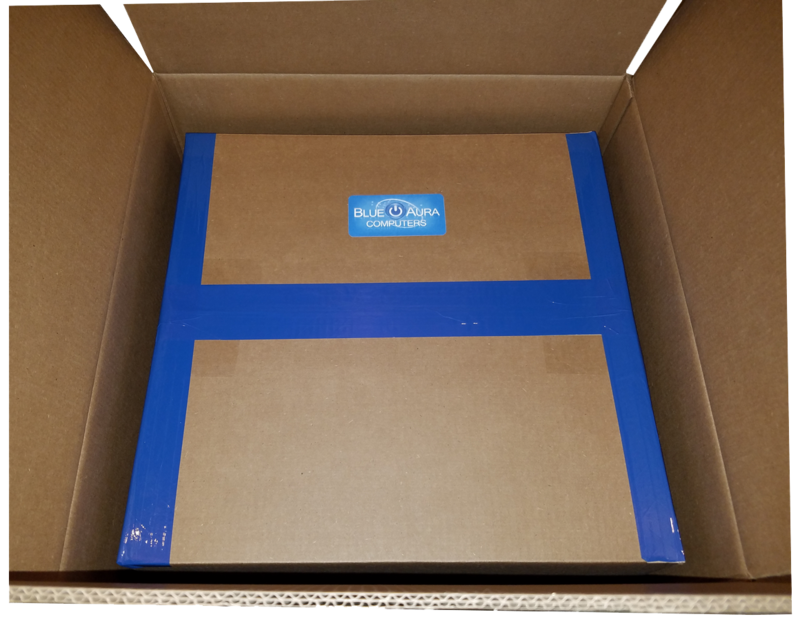 There is no better feeling than opening up your brand new custom built system from Blue Aura Computers. More powerful & lower cost than our competitors. Computers that are built beyond the highest standards of excellence. We design & manufacture the best multiple monitor computers! "I've been a trader for the better part of a decade. Having the right equipment is absolutely critical for me. 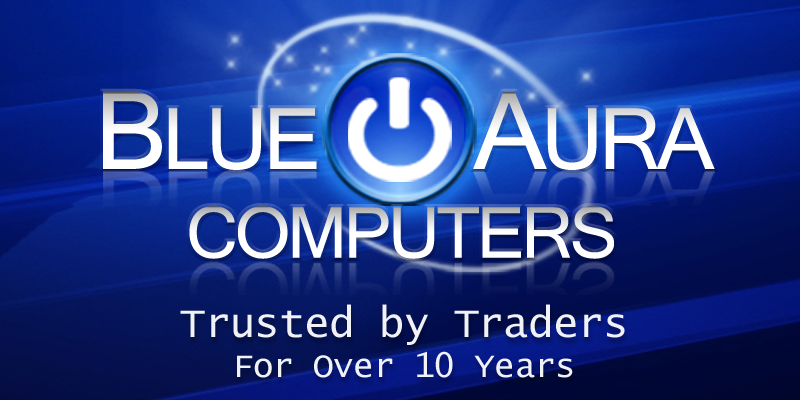 Blue Aura Computers sells trading systems that have the speed and reliability that I need." "I purchased a trading computer from Blue Aura several years ago. It was my first non-Apple computer and desktop for quite some time. I can unequivocally say that purchasing this computer from Blue Aura Computers was the right choice! From the very beginning, Craig at Blue Aura Computers has instructed, guided, and provided incredible support whenever it was needed. Recently I called with some questions I had about my trading computer and Craig spend several hours on the phone helping me. He was always understanding of my limited knowledge and very gracious in spending his time to help me. This kind of customer service doesn’t exist in very many places and especially in the computer world. Thank you!" 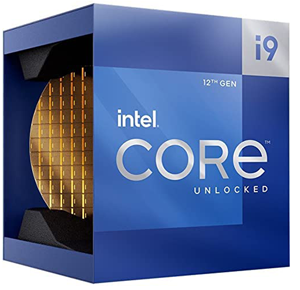 Our BEST Trading Computer Processor - Just released, the new Intel Core i9 9900K 9th Generation Intel processor. This is an unlocked 8 Core processor with 16 threads. 3.6GHz with an amazing 5.0GHz Turbo Boost. Also just released - We're excited to offer the new Intel Core i7 9700K processor. It's an eight core processor that runs at 3.6GHz and goes up to 4.9GHz Turbo Boost. The 9700K runs faster with a 6% effective speed increase over the 8700K. New cases - We've added some new cases recently to our lineup. 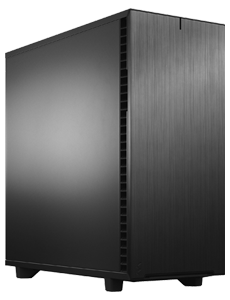 There are 2 new full tower models - Corsair Graphite Series 760T and the Fractal Design Define XL R2 with noise dampending materials. 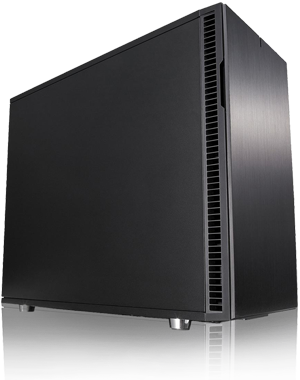 We build the QUIETEST computers possible, that means we only build our systems in the best cases available. Check out this page to look at all the cases we offer. Not sure what trading computer to order? Please give us a call! We'll walk you through step by step over the phone to help you put together the best computer for your needs. 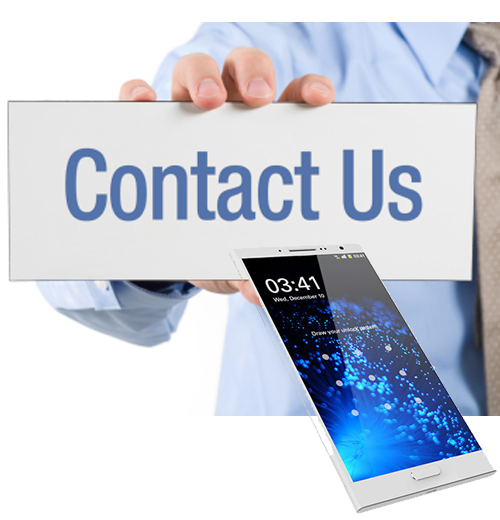 We can help you go through all the components on the configuration form. We're ready to get started on your order. Your dream PC is a few clicks away! Engineered to Run on all Trading Platforms! 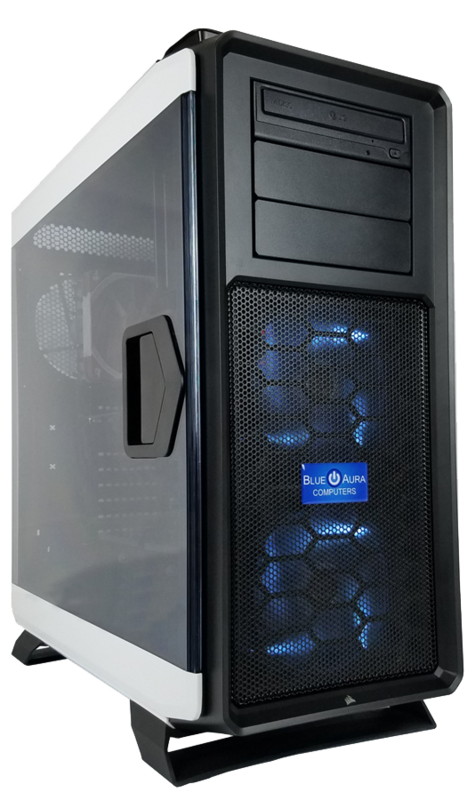 Blue Aura Computers have the raw speed and exceptional reliability that's required for traders to be successful. 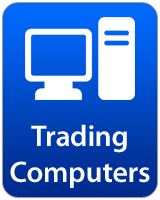 Traders require a computer that has powerful processing to handle the charts, indicators and symbols. If you follow stocks, futures, options and forex a powerful Blue Aura Computer for trading can handle it all.